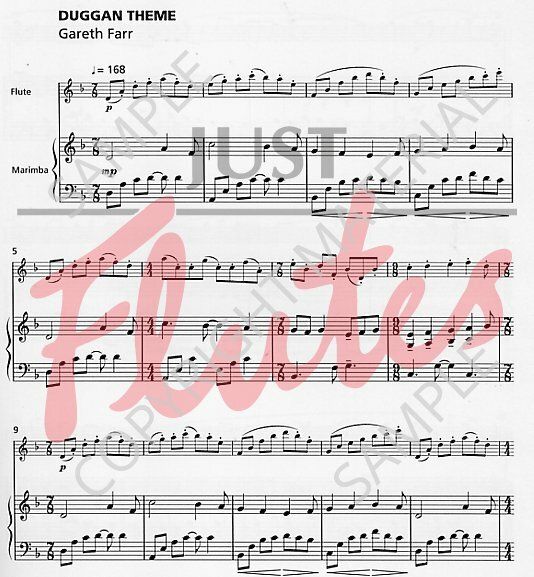 The New Zealand composer Gareth Farr has written for this combination before and his experience shows in this exciting piece. It was written for a television police drama and has a breathless quality as the 2 instruments chase each other around. It isn't scary to look at though, as the Aeolian mode is quite approachable to read. It's the constantly changing metre that presents the real challenge epsecially if played at the suggested marking of crotchet equals 168. This is what makes it such fun to play though. This combination of instruments is becoming increasingly popular, especially with exam candidates at GCSE and A level. 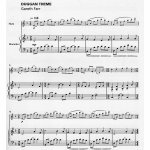 Duggan's Theme will prove extremely useful for this, as well as for concert repertoire. 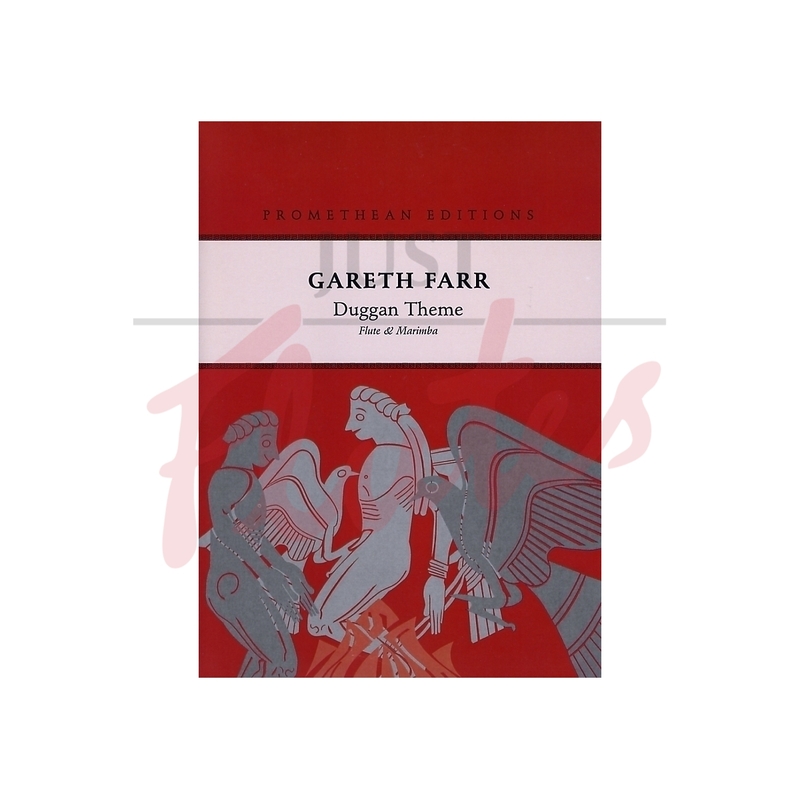 The work takes a simple ternary form, beginning and ending in the Aeolian (or natural minor) mode, shifting through a variety of major keys in the B section.